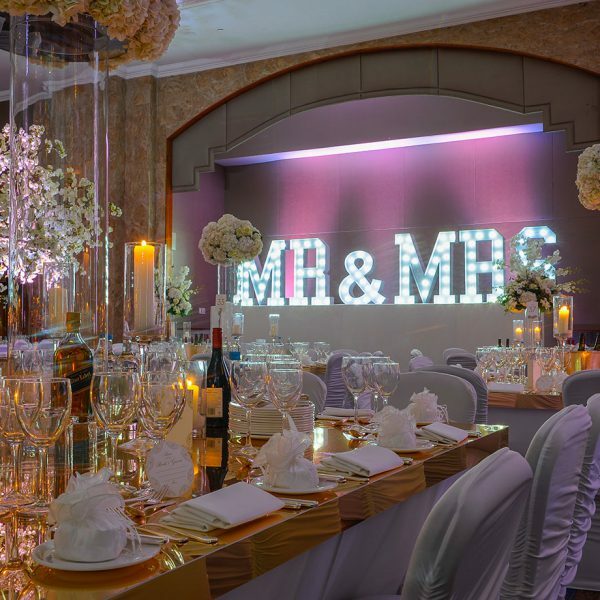 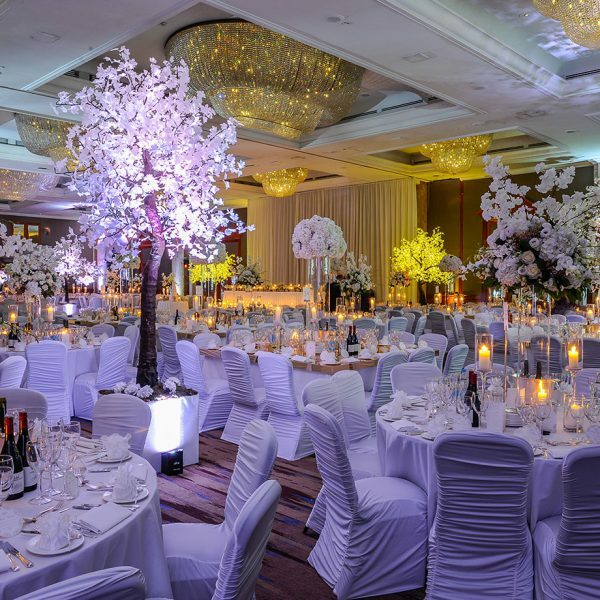 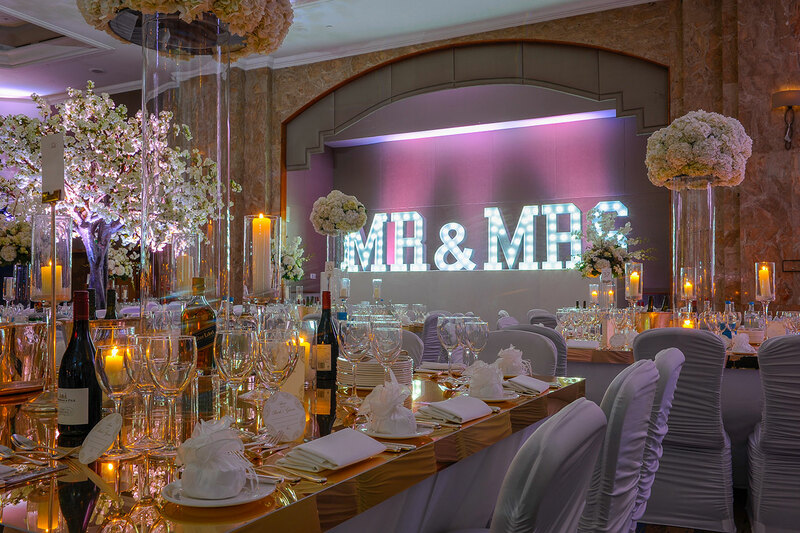 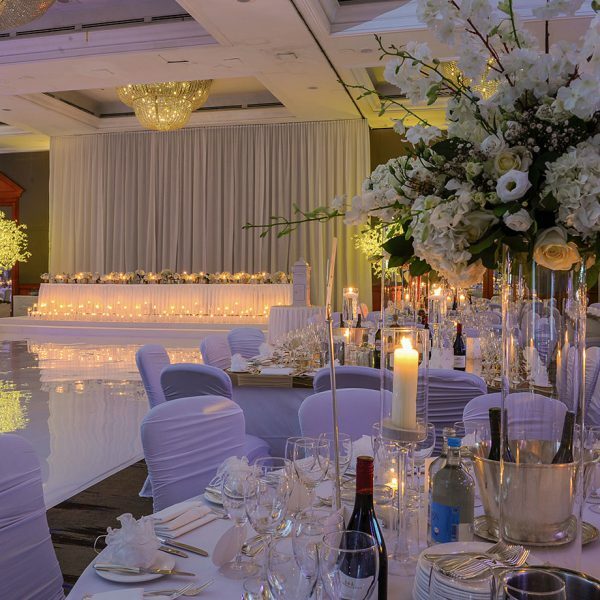 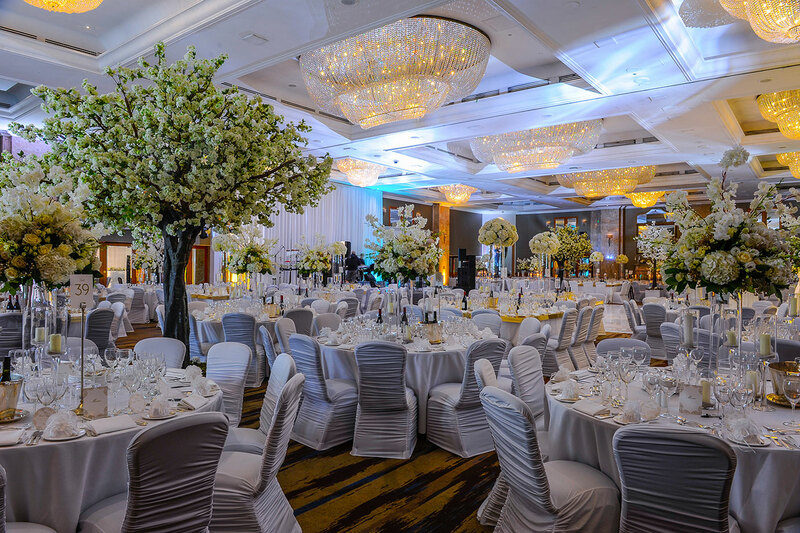 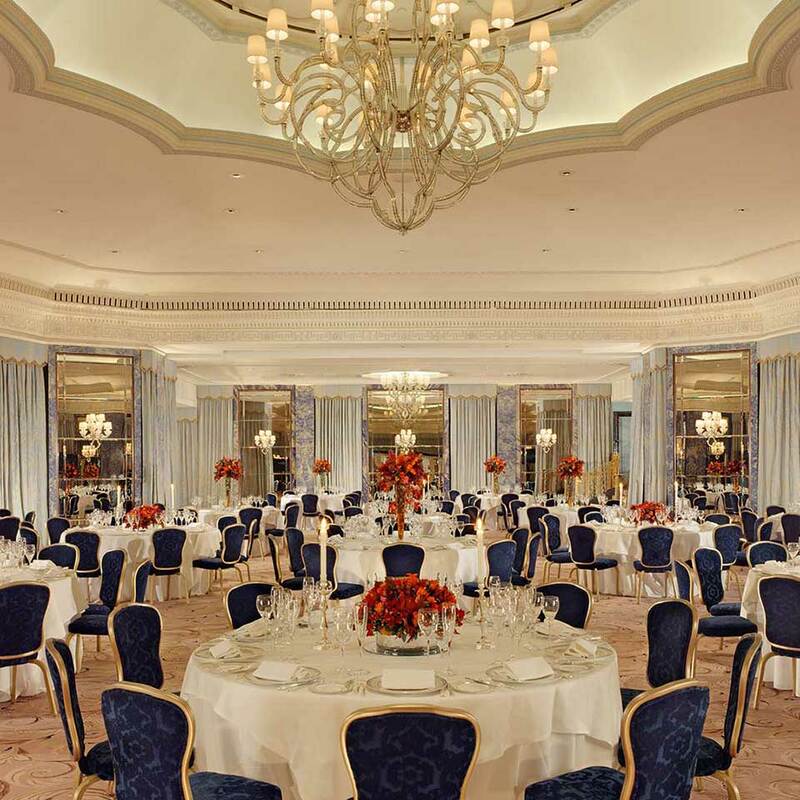 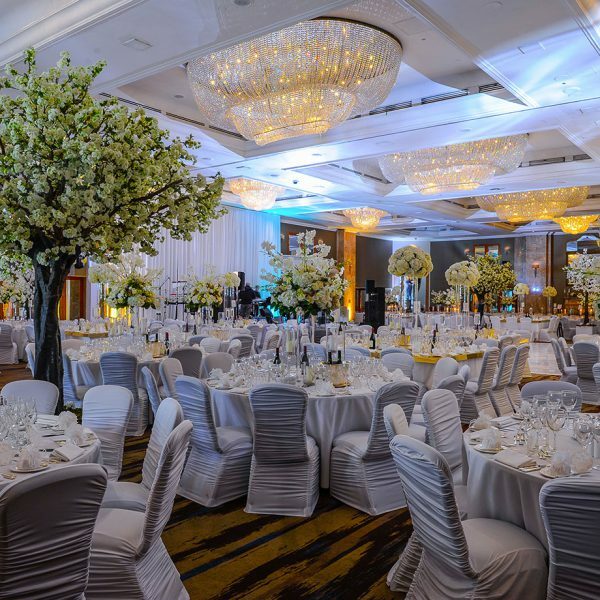 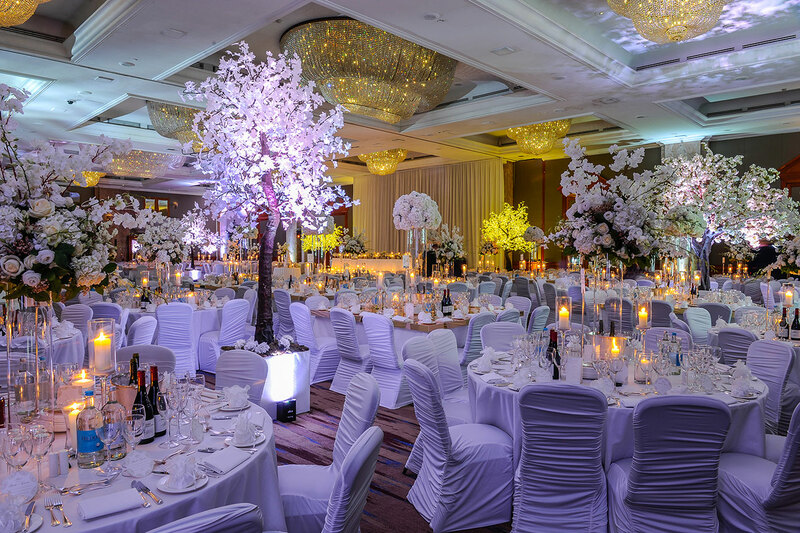 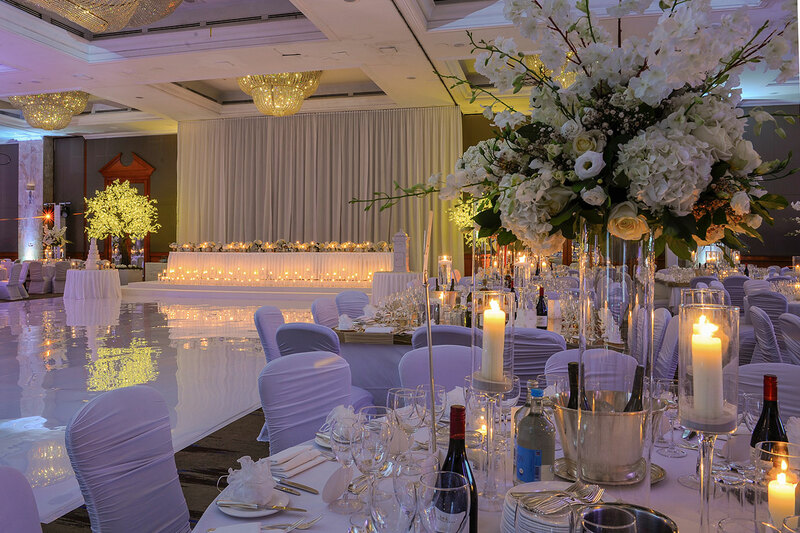 James and Mia contacted us because they wanted to put their personal touch on this already stunning Ballroom in London. 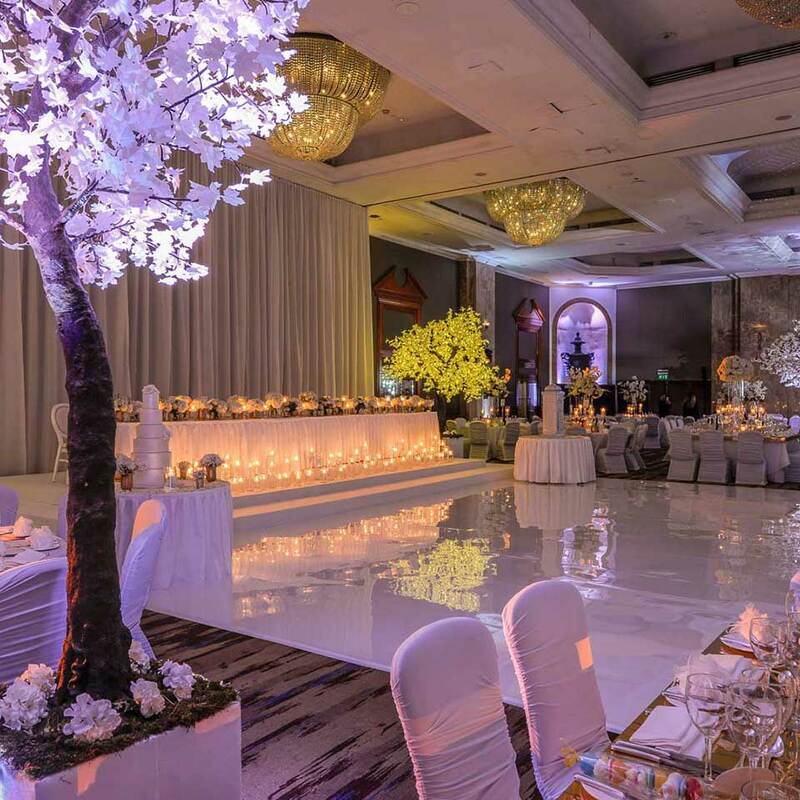 They wanted to make their wedding day unique, enjoyable and most importantly as personal as possible keeping to their all white floral theme. 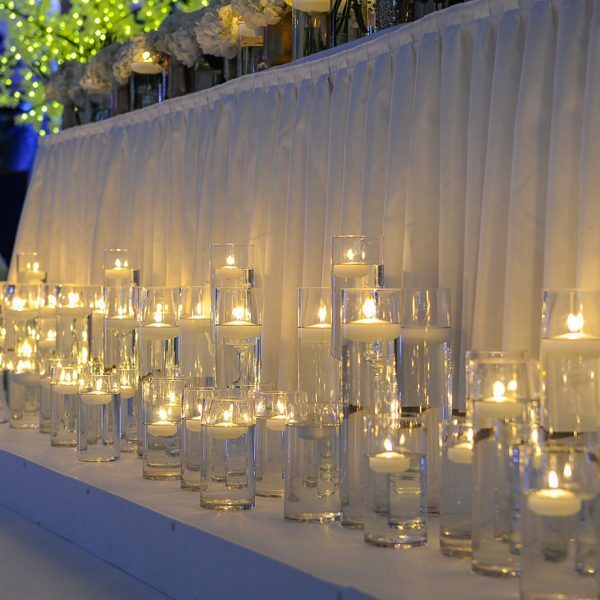 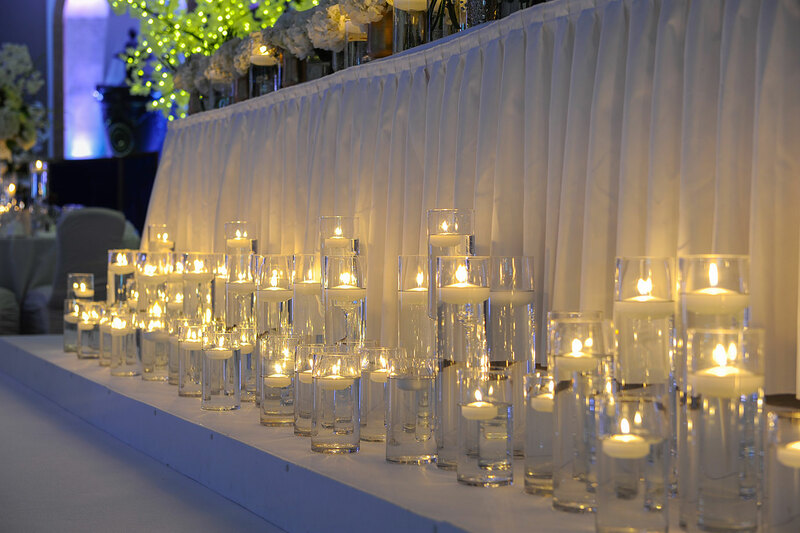 We installed wireless uplighters throughout the venue to create ambiance throughout the wedding. 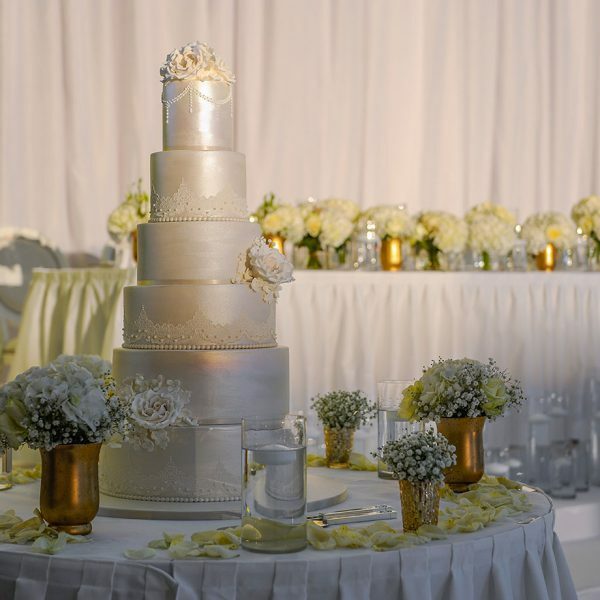 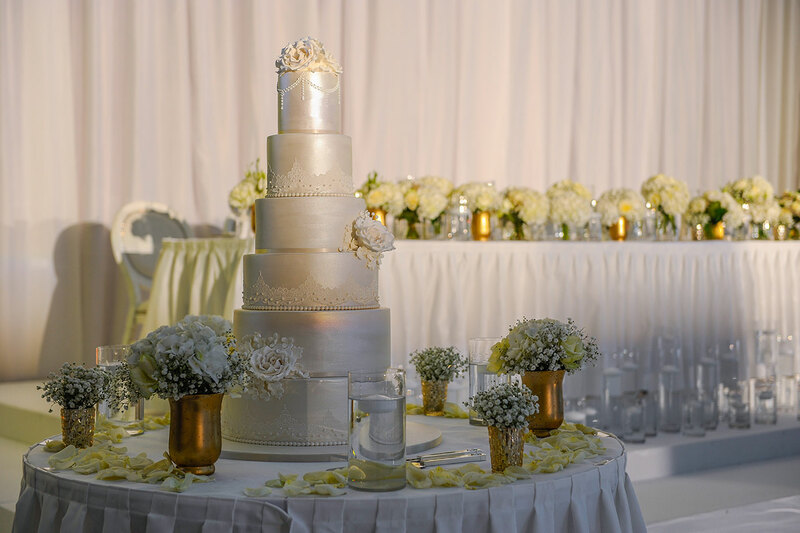 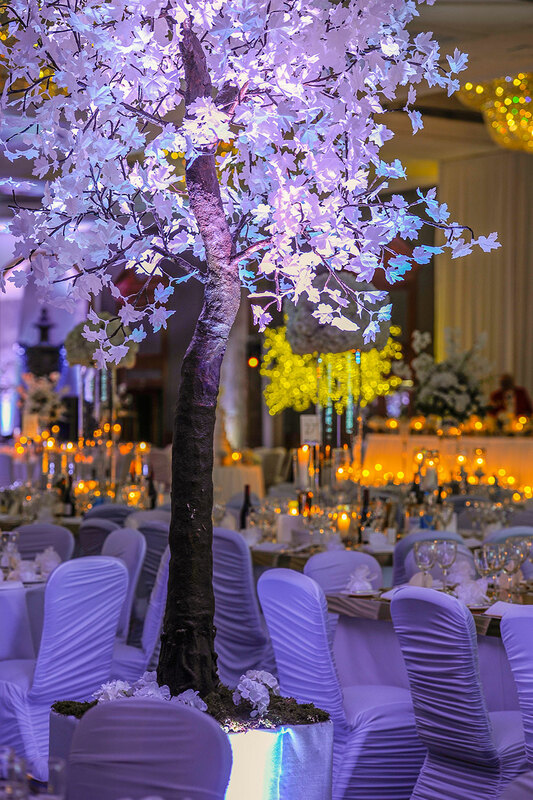 Lighting was a strong feature of this wedding. 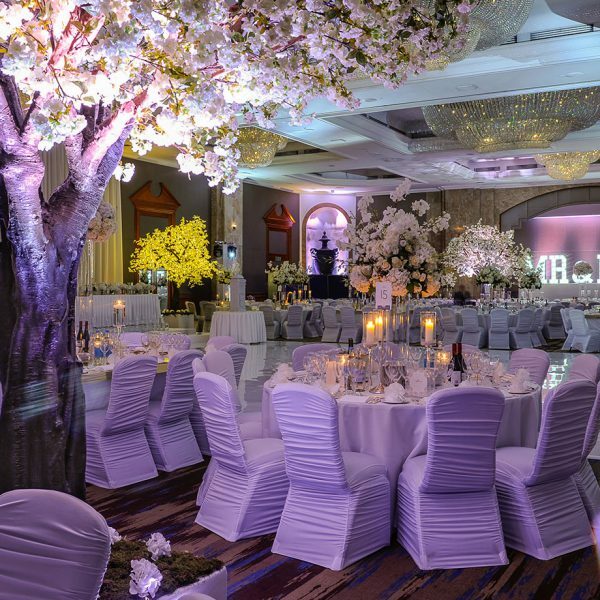 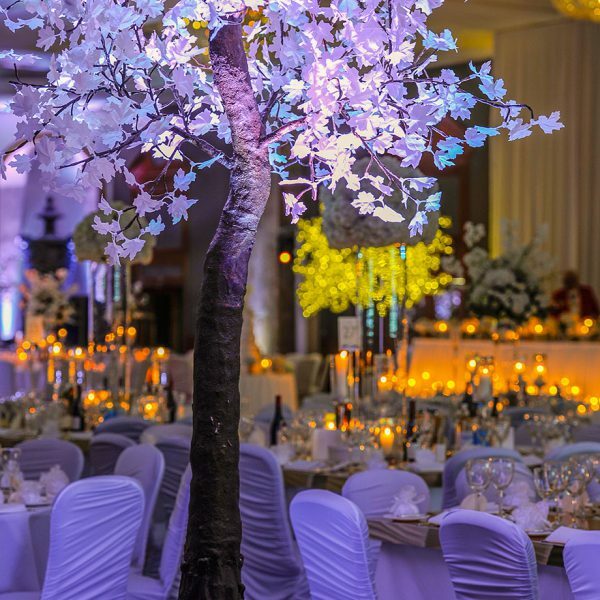 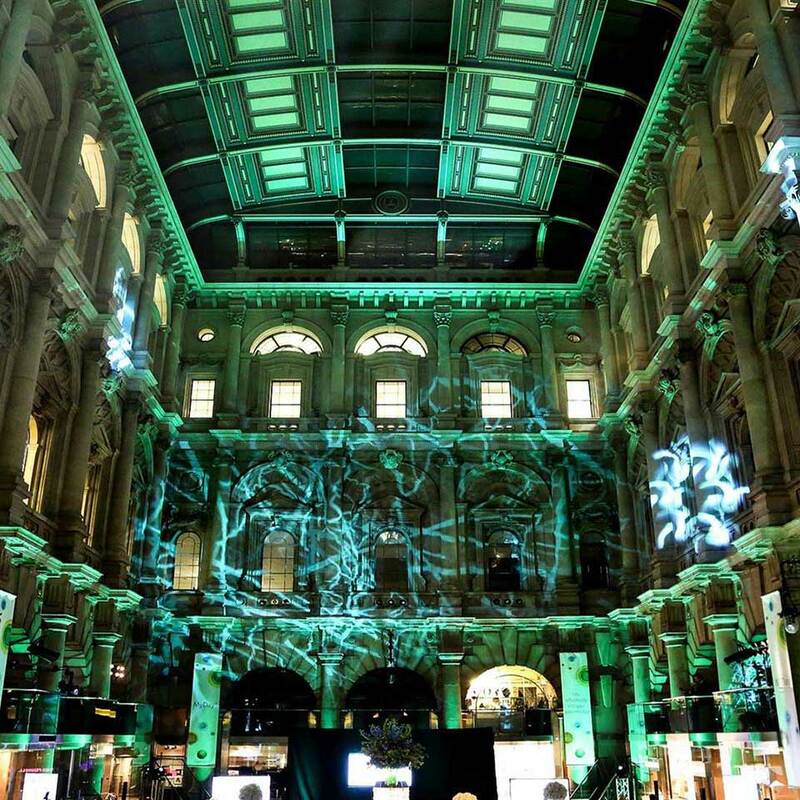 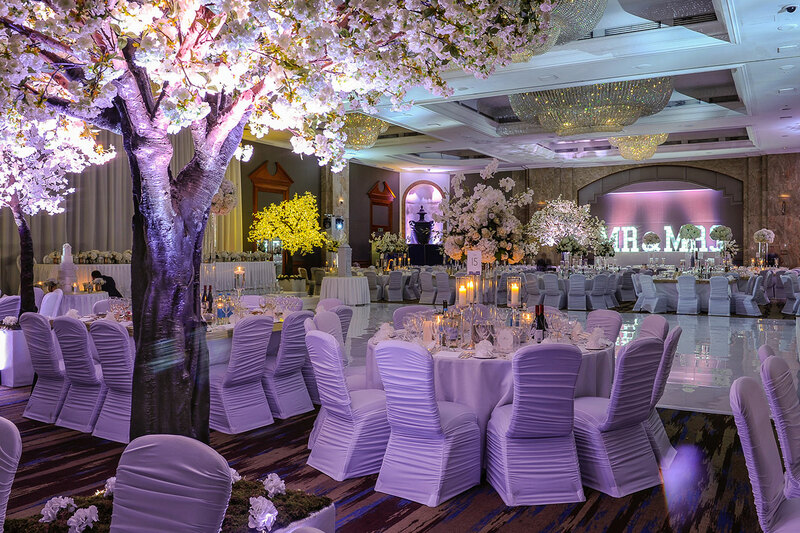 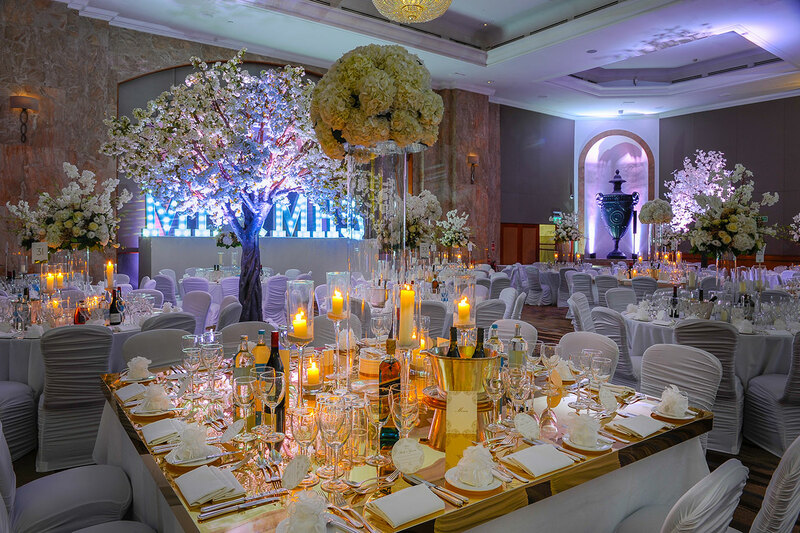 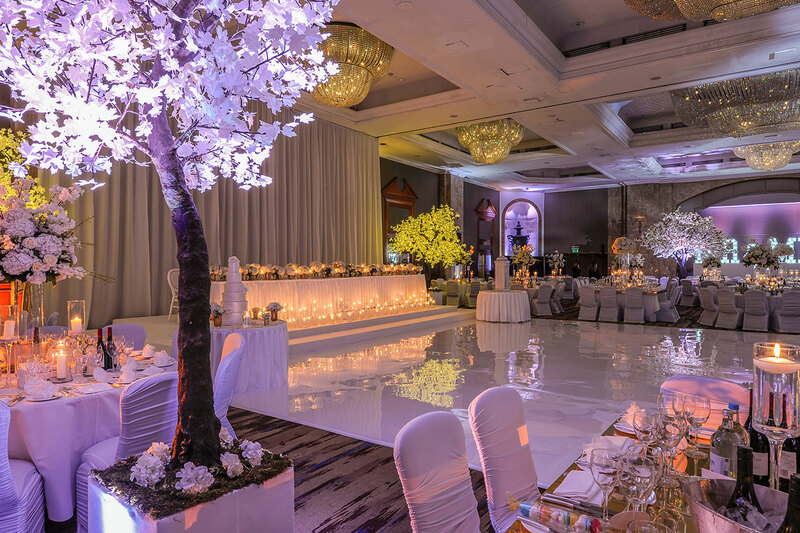 They wanted to highlight the stunning floral tree displays and even had light up letters to add to the overall effect. 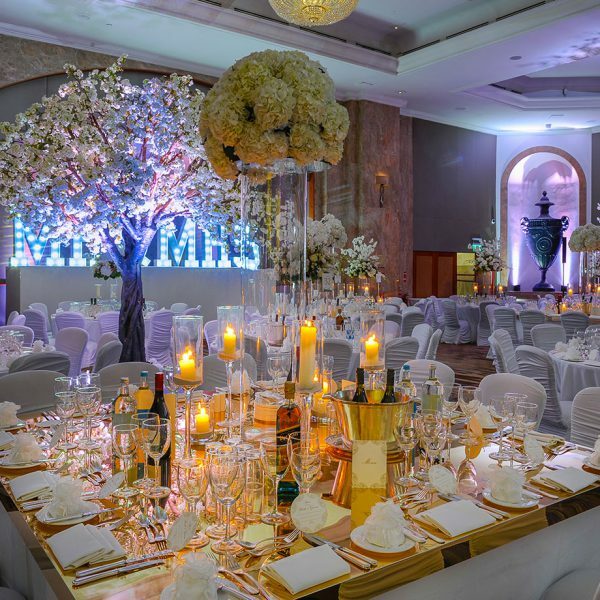 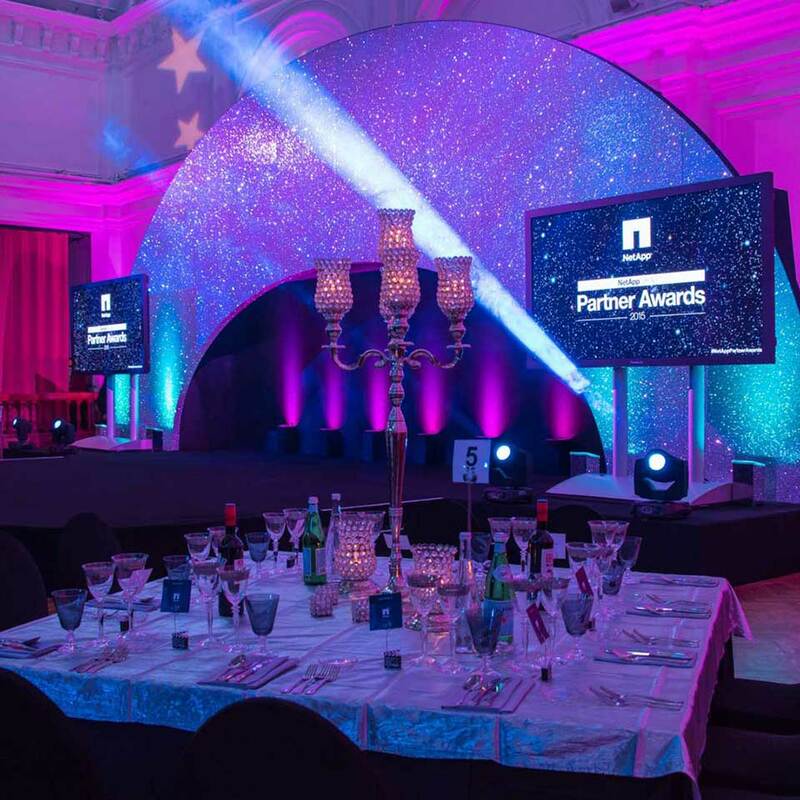 We erected a bespoke stage and backdrop for the top table. 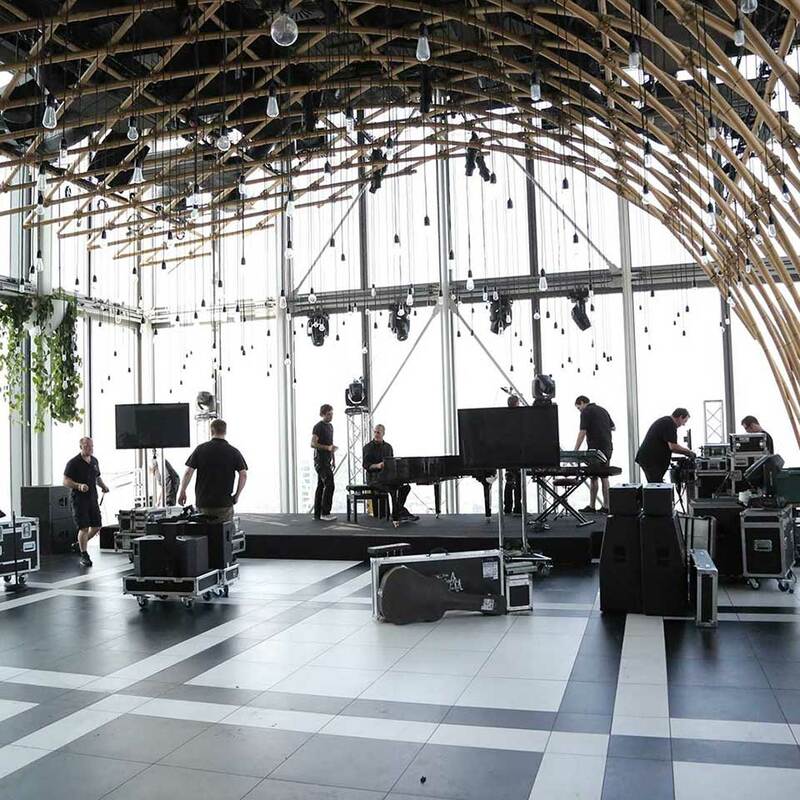 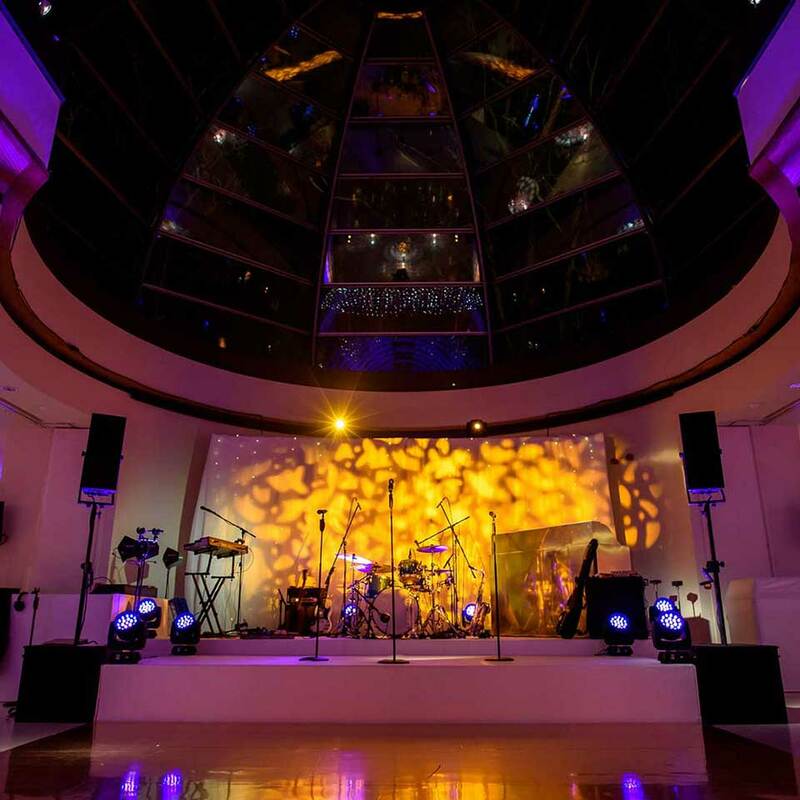 This was accompanied by a full sound system for the speeches, DJ and band. 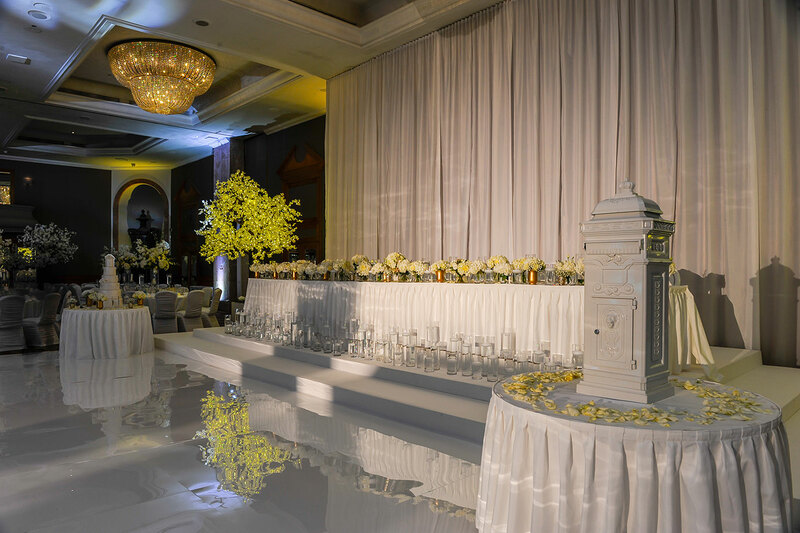 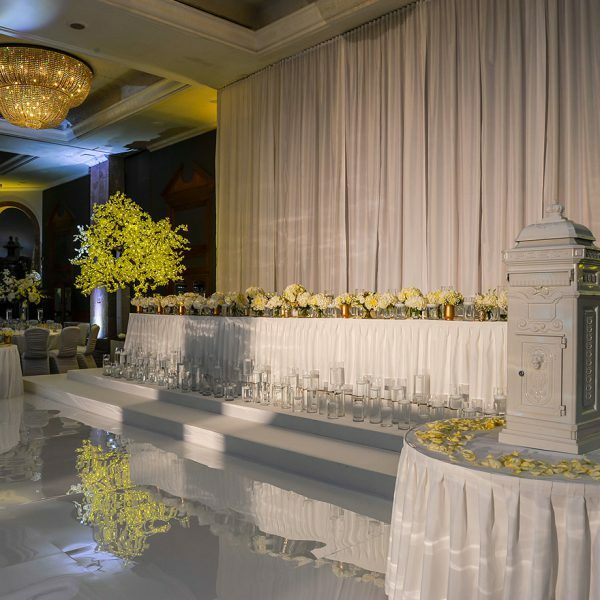 The 26ft white seamless dancefloor was the finishing touch to a stunning production set up.